Request a free web design consultation. Hop Moving is a Boston based moving company. Our creative team of designers and developers created and effective wordpress based website as such that it was mobile responsive, search engine friendly and social media integrated. The website included an estimate form to allow potential customers to easily know the rate charged by the client. This Virginia based small business that moved from California reached out to us to design and develop a website that can easily market to customers in their new location. Giant Xpress had an outdated website built on an old technology of HTML without any content management which we redesigned with better look and feel. I know why you’re here: you’re probably thinking about making a difference (…and money) in your business. 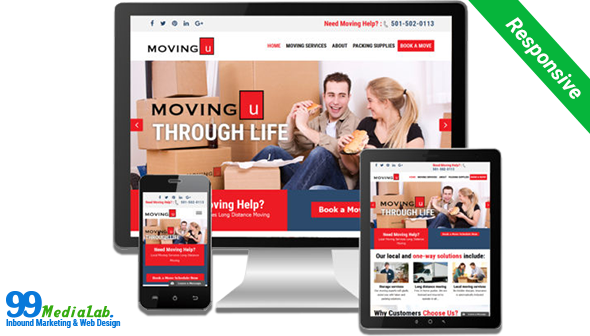 You want a moving company website design that’s better than your competitors, right? Do you wake up worried that your moving business is not attracting clients who are the “perfect” match for you? Fret no further. We can help you eliminate that pain and give you the rare opportunity to finally expand your moving business, knock off your competitors, build trust with you quickly, and make real money. A professional moving company website design can give them (potential clients) the freedom to call you, request a quote, email you, or simply organize a one-on-one meeting with you. And you know what that would mean for your moving business, right? Remember this: people don’t buy product or service, they buy experiences. Your moving company website has only one purpose – to give people an awesome and jaw-dropping experience until they can no longer resist it. Simply irresistible website? And that’s what 99MediaLabs is here for. We’re here to design an experience for your clients – a moving company website design that insists on a DELIGHTFUL CUSTOMER EXPERIENCE. Whether you are starting a new moving business or you have an existing one, you definitely need a website that can attract potential customers online and we make this happen for you in the best possible way. More important, you don’t just need a slow-loading website, but an insanely fast, custom and mobile responsive website that displays well on smartphones, tablets and other mobile devices (…bring it on Apple). We design client’s moving company website design using WordPress Content Management System so that you can easily manage and maintain the site on your own without needing technical expertise. Well if you need one, we’re available. Unlimited mockups until you like a design: choose your design, we can wait. Unlimited revisions for the mockup until you are satisfied. Again, we’re not in haste. We can wait for you to make your choice. Free stock pictures. No additional cost. Pictures that will tell the story for your moving business. People connect with stories a lot. 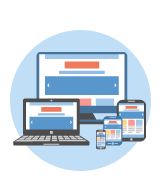 Mobile device responsive website: you’ll lose 46% of your prospects if your site isn’t displaying well on mobile devices. Potential customers will be angry with you. FREE Hosting for one year: for the next 12 months, we’ll take care of your web hosting, giving you a top notch uptime. Your website will always be active and live. Cross Browser compatible: It doesn’t matter what the latest browser is (Google Chrome, Mozilla Firefox, Safari, IE, Opera, etc. ), your website will be compatible with all of them guaranteed. 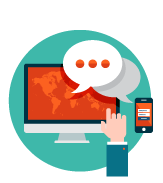 Search engine friendly: We’ll optimize & submit your website to Google, Yahoo, Bing, and other search engines. That way, you’ll consistently drive motivated customers from the search engines. Social media friendly: Your customers are on Facebook, Twitter, Instagram, LinkedIn, and of course Pinterest. We connect your website so that you can easily bring these people to your site – and to your moving business. Install search engine friendly plugins: WordPress plugins that will increase your organic traffic, content reach, and rankings. Integrate Google Analytics for website traffic: So that you can track how many people visited your moving business website, and where they came from. Google Search Console Integration: We create and generate a sitemap for your site. Then submit to Google Search Console to help search spiders find your pages, blog posts, company news, new product updates, etc. Newsletter sign up integration: When prospects come to your site, you need to get their contact details (e.g., full name and email address). If you don’t do that, you can’t contact them again. We’ll add a newsletter sign up form to your site. Upload the website onto your server and make it live: This is a bit technical. But don’t worry; we’ll take care of it. Imagine what a moving business website design with all these features can do for your customers and your income? We specialize in moving company website design. At 99MediaLab, our web design is backed-up by iron-clad customer satisfaction or your money back. You’ll be 100% satisfied. 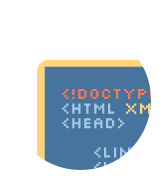 We only start coding the site after you (the client) selects and approves a particular design of your choice. We could guide you on this, though. With over 25 years’ experience in the moving business and logistics, we understand what you want right now (to attract clients and increase revenue). For the past 7 years, a team of professional web developers at 99MediaLab have designed and developed over 20 custom and mobile responsive websites for moving businesses around the country. Websites designed to convert casual site visitors into customers. If you are a current moving business owner, then ask yourself below questions? Does the current moving company website design correctly represent your business? Does your current website have call to action buttons? Does it have lead generation or estimate forms? Is your website not resulting into customers even though you have good traffic? If you answered “no” to any of the above questions, then the time has come to update and redesign your website. 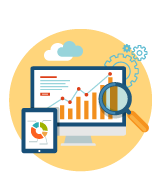 Click here for us to do a free website analysis for your business. High speed backed by clean code. Email notification for estimate requests. Apart from an appealing logo to establish brand identity, we know when and where to place visuals and animations (if desired) in an unobtrusive manner, optimize viewership by establishing informational links, and ensures a site is properly coded so that all content can be loaded by a variety of operating systems. Technical aptitude is necessary to ensure all content loads quickly and does not slow down the browsing potential of a webpage. As a Moving Company You Should Partner With the Right Team to Develop Your Website. 99MediaLab has been designing and developing websites for the past 7 years and has a combined team experience of over 25 years. 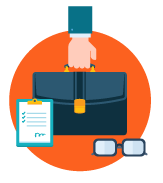 We have designed and developed around 20 websites for moving businesses around the country. As a company that has the experience and the expertise we know and understand the unique needs of moving business owners. So we have developed a moving company website design and development solution specific to moving companies that includes their unique needs including custom estimate forms and review integration which makes it easy for potential customers to find you and leave a positive review about their experience easily. Whether you are starting a new moving business or you have an existing one, you definitely need a website that can be your face to your potential customers online and we make this happen for you in the best possible way.